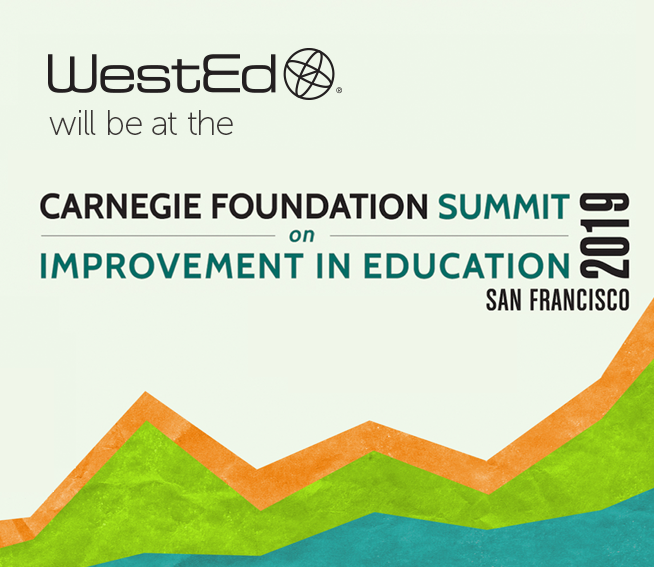 Join WestEd at the sixth annual Carnegie Foundation Summit on Improvement in Education, April 16–18, 2019, at the San Francisco Marriott Marquis. This three-day event brings together a diverse and vibrant community of educators, researchers, entrepreneurs, philanthropists, and policymakers dedicated to accelerating improvement in education. Check out our list of presentations. We hope to see you there. In this session, WestEd’s Matt Navo, and Sacramento City Unified School District Superintendent Jorge Aguilar will share critical lessons about building improvement cultures in their districts. Navo emphasizes the importance of connecting to why improvement science is important and where it resides in the course of the actions of the organization. Superintendent Aguilar introduced the guiding principle in which all students are given an equal opportunity to graduate with the greatest number of postsecondary choices from the widest array of options. He provided training about improvement science principles and proposed that learning flow from the central office instructional leadership and principal supervisors to principals to school leadership teams. The plan fell short. He will share his critical lesson learned. The Higher Aims Improvement Network is a California-based effort to improve college degree attainment by strengthening high school-community college dual-enrollment partnerships. Visibly Improving Teaching and Learning (VITAL) through Collaboration is a four-part process used to collectively improve teaching and learning across an entire school system. The poster, presented by WestEd’s Robert Rosenfeld, describes how school leaders and teachers engage in the process as an essential component of any strategic plan for improvement.